Photo right: The Rev. Ella DeDeaux of the Mississippi Conference, took this picture while attending Africa University. As Mississippi United Methodists celebrate the end of a fruitful partnership to benefit Africa University, they also unite to resource a new initiative, Imagine No Malaria. During the 2016 Session of the Mississippi Annual Conference leaders announced the conference kept its promise of $1.3 million toward Africa University scholarships. To view the names of individuals and groups that made significant gifts to the campaign, click here. "The Mississippi Annual Conference has received $451,295.26. These funds are on deposit at the Mississippi United Methodist Foundation earning interest for additional funding of those endowed scholarships. The 2015 offering was $228,128 and the 2016 receipts as of June 30 are $223,167. 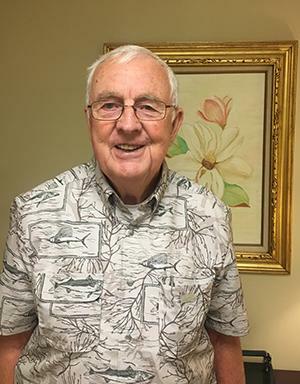 This is a great reflection of the generosity of our Mississippi United Methodist," said Conference Treasurer, David Stotts. The conference's commitment to the university brought joy to Reverend Ella DeDeaux. She is the pastor of United Methodist congregations Mt. Zion and St. Paul in Pass Christian, Mississippi. In 2012, DeDeaux was an exchange student at Africa University. Her experience gave her the chance to meet those students from poverty and disease stricken communities across the continent of Africa -- where girls may never even step foot in a classroom. "I am a supporter of education anyway. But certainly in the areas where education is not as accessible and every child has to pay for their education. It is not like it's free, so they work hard to go school...I think the support is fantastic. The university is growing," said DeDeaux. Photo right: Ed Jones is looking forward to supporting the Mississippi Conference 2017 mission offering for Imagine No Malaria. Ed Jones of Madison United Methodist Church, near Jackson Mississippi, was also thrilled over the conference's pledge to Africa University. He's retired with a doctorate in education. Like DeDeaux, Jones is making plans to join Bishop James Swanson Sr. on a tour of Africa University in March 2017. In the meantime, Jones is dedicated to the conference's new mission to save people, particularly children in Sub-Saharan Africa. Through Imagine No Malaria, an initiative of The United Methodist Church, Mississippi United Methodists will work to eradicate malaria. The disease kills a child every two minutes. The use of bed nets is one way of reducing deaths. "I have slept under mosquito nets in the Philippines and in Vietnam. I can appreciate those folks needing those nets and the importance of them...When you realize how inexpensive they are and a life can be protected by one mosquito net, why can't we buy lots of them," said Jones who once served in the Marine Corps. One net can protect an entire family from malaria for about four years for only $10. The Mississippi Conference goal is to provide 100,000 nets. Every local church is encouraged to be a part of this effort. 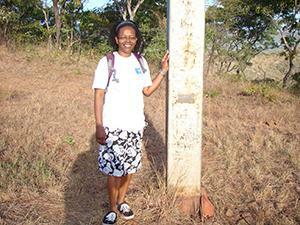 Charity Gordon is the Mississippi field coordinator for Imagine No Malaria. She is anxious to talk with church groups about the campaign. She can be reached at inm@mississippi-umc.org 662-825-0949. "The fact that we are doing all these things to help people, I see that as feeding the lambs. Feed my sheep. That is what Jesus said and I think He expects that of us," stated Jones.